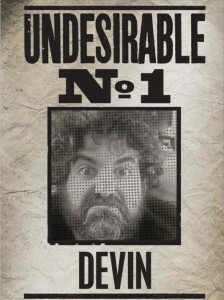 Thanks for including my piece on Devin Faraci in your lengthy essay on movie criticism. However, there is one minor error. 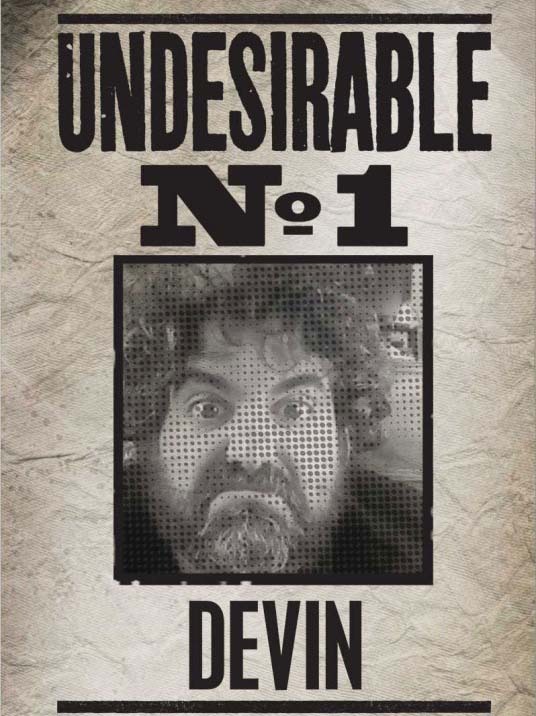 The picture of Faraci (“UNDESIRABLE NO 1”) was intended as irony. People have continued to believe that I created the graphic out of malice. Not the case at all. It all came from Faraci’s site, as all my examples did. In order to trim the fat off their budgets during this emerging digital age of journalism, many newspapers across the country have replaced their movie critics with inexpensive syndication alternatives. The list of exiled critics reads like an all-star roster of reviewers – – Nathan Lee of the Village Voice, David Ansen of Newsweek, Jack Matthews and Jami Bernard of New York Daily News, Gene Seymour and Jan Stuart from New York Newsday and Michael Wilmington from the Chicago Tribune have all faced the chopping block within the last year and a half. To maintain their careers, many former print reviewers have swarmed onto the web, slowly morphing traditional movie reviewing into a combination of print criticism, embedded interactive content like slideshows and YouTube videos and near instant feedback from readers hailing from all over the world. But, they weren’t the first to explore this new digital publishing frontier. Their new-found online neighbors are homegrown fan review sites like Ain’t It Cool News, Dark Horizons and CHUD, where do-it-yourself movie critics flourish and thrive – – and fans numbering in the millions hang on their every word, according to web traffic tracker Quancast. This new freedom has turned movie criticism on its head: online reviewers publish anything and everything on their web pages, incorporate fans into their pool of critical resources and throw away the formalities of classic journalism in favor of a more colloquial style of writing. Those still surviving in the print world, as well as their exiled former brethren, see this trend as the weakening of the craft – and the Internet as a new battleground for the advancing ronin of banished print critics and the heavily entrenched editorial overlords of online homegrown fan-sites. Many print critics agree that editors of these upstart fan sites lack the proper qualifications to review films. 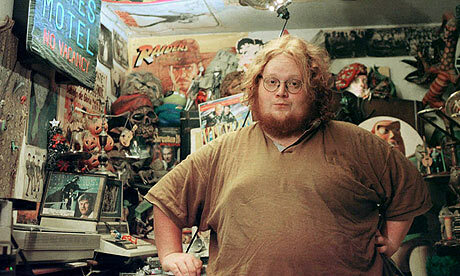 What makes Ain’t It Cool News’ founder Harry Knowles, a comic book collector and horror movie buff, a more reliable reviewer than the renowned Roger Ebert of the Chicago Sun-Times? Why should the public listen to the critical opinion of CHUD’s lead critic Devin Faraci over Entertainment Weekly’s film review veteran Owen Gleiberman? Public Enemy No. 1 Faraci, according to Edward Champion of Reluctant Habits. Credit: Reluctant Habits. For the most part, fans seemingly flock to the upstart grassroots websites because they crave critics who talk to them about films, not at them. They populate fan sites ran by devoted Trekkers, Japanese anime buffs and video game aficionados, to mightily fill the void left by the often off-putting and haughty style of print criticism. Also, online content is not restricted to a select, regionally based critical authority that the movie going laity looks to for guidance – – the Internet affords the public a near infinite catalog of critical choices. And the variety of voices is astounding. Star Wars enthusiasts share server space with French film cinephiles and horror movie junkies – – each with a unique, engaging and often differing opinion on the same film. Further, fan reviewers’ enthusiasm draws in the public. Some jaded print critics, entrenched in the same position for decades, attend major screenings unenthusiastically only to blast the public with lackluster post-mortem reviews. Most online critics, however, review films with a rabid passion – – likely due to their fan-based background. This critical zeal bleeds over into their final product, whether it’s positive or negative in tone. The viral nature of fan sites also contributes to their success. Most online reviewers begin as fans of a film genre or franchise with strong viewpoints but nowhere to express them. They start up a webpage or blog that gets picked up by search engines like Google and aggregators like Digg if the content is unique and attractive. Followers that started on the ground floor then introduce friends, co-workers and family members to this fresh take on movies and the author’s audience grows. While this newly formed community expands, so does the possibility of generating a revenue stream through advertising and merchandise. And once fan sites become a viable commodity, movie studios grant them more access to film stars, producers and directors, which adds even more credibility to once upstart and unknown movie reviewers. Take Harry Knowles of Ain’t It Cool News for instance. He created his website in 1996 as a small newsgroup for Internet rumors and gossip, using information gained from inside industry sources as the basis for his daily updates. Today, AICN is a pop-culture haven, a near mainstream website filled with news and reviews for film, television shows, comic books and video games. Because of the site’s popularity within target demographics, film stars like Sylvester Stallone and Bruce Willis flocked to Knowles when they needed an opening day boost at the box office. 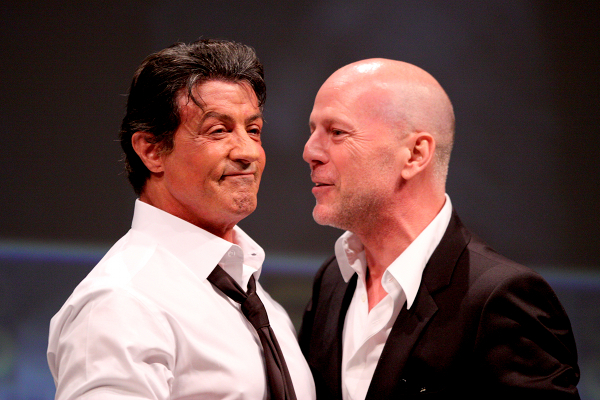 Stallone’s participation went beyond normal public relations campaigns before the release of “Rocky Balboa” – he and Knowles created the “AICNers Ask” series, a Q&A session with Ain’t It Cool News fans who ask questions about a star’s career, personal life and cinematic influences. But, what really makes Ain’t It Cool News intriguing and entertaining is the “Headgeek” himself (it’s the nickname Harry uses on the site.) Knowles uses a truly unorthodox, layman’s style of writing to review a film: he employs a mix of pop-cultural references, informal vernacular and often self-effacing personal experiences in order to describe his movie-going experience. 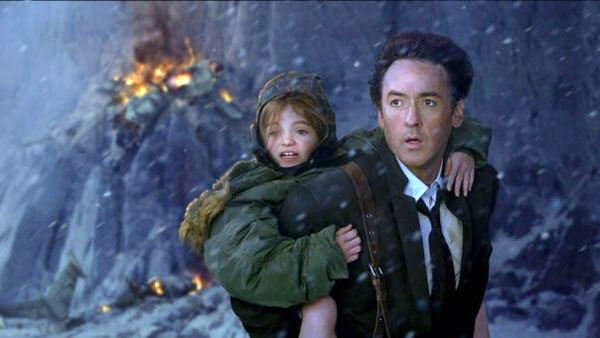 Who wrote the better review for John Cusack’s disaster film 2012? Corliss or Knowles? While it doesn’t generate traffic comparable to Ain’t It Cool – – Quantcast shows The L Magazine’ dot-com draws in over 200,000 visitors per year on average – – it services a strong and loyal audience with an intellectual and humorous slant on the arts. The digital sandstorm engulfing the world of film criticism rages on as more and more critical upstarts create digital platforms for their critical viewpoints and more laid off print critics re-emerge on the web with the hopes of resurrecting their once lifeless careers. In the middle of the fracas, magazines and newspapers acclimate to the changing digital climate by publishing web-based content similar to their print-based syndication equivalents, with the hopes of mounting a sustainable and competitive defense. It’s true: there’s a vast digital reviewer marketplace available to the public, where people of all walks of life can shop around for the brands that suit their palate. But, if the numbers are any indication, homegrown critics are triumphing while their traditional forefathers, who once dominated the discipline, are now just another choice in this smorgasbord of possibilities. The Skinny: Ain’t It Cool News publishes rumors and news about new and forthcoming films and television projects. Catering to enthusiasts of Star Trek, comic books and monster movies etc., it mixes editorial content, message boards and giveaways into a digital crock-pot, allows the ingredients to simmer and serves its patrons daily. What’s Hot: The forums, nicknamed “The Phantom Zone,” house some of the brightest viewpoints on film from some of the site’s staunchest followers. And it’s a community of its own, an inviting place where “Zoners” play online games like Werewolf and Mafia, chat about the breaking movie news that’s dominating the web and even engage in script and fiction writing exercises. What’s Not: Much of its content, including reviews, comes from unidentified inside sources that often use pseudonyms, forcing readers to take the information with a grain of salt. Sometimes, their movie news and reviews are too niche for a mainstream audience – – a factor that Knowles needs to address if he want to take the site to the next level. The Skinny: Named after the old time practice of throwing rotten vegetables at horrible stage performers, Rotten Tomatoes.com aggregates movies and video game reviews from critics worldwide. The site tabulates positive and negative reviews to determine a movie’s “freshness” level, which is displayed on the movie’s “Tomato-meter” for the world to see. 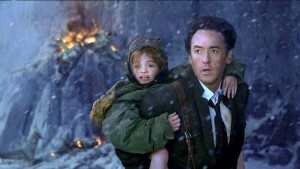 What’s Hot: Rotten Tomatoes compiles reviews from e-critics and fans alike. They also publish movie news, trailers and celebrity interviews, adding to their already in depth industry coverage. What’s Not: The use of the “Tomato-meter” as their end-all tabulator of analysis discourages visitors from reading the featured reviewers’ often colorful and enlightening takes on film. The Skinny: Metacritic.com follows a similar rating structure to Rotten Tomatoes: each movie, game, book and album featured on the site gets assigned a metascore. A metascore is determined after all of the individual critics of the movie, game, book or album that’s featured on the site weigh in. Scores are tabulated based on a scale from 0 to 100 – – the higher the better. Metascores are also tagged according to a stop light color scheme, so visitors can get a quick take on how reviewers felt about the subject film: green, yellow or red. What’s Hot: Metacritic’s webpage layout is very simplistic: their template resembles a horrid looking, barebones WordPress blog model. But, the uncomplicated structure doesn’t detract from its content – – in fact, the aesthetically un-invasive design actually accentuates Metacritic’s articles. Also, the site’s aggregation model, though similar to Rotten Tomatoes, allows for visitors to see more verbiage from the foraged critical reviews. This makes for an environment that encourages information seekers to read the reviews featured, not just take Metacritic’s word for it. What’s Not: Metacritic limits its pool of reviewer resources to only major publications, like the New York Times and Rolling Stone, and ignores self-published online reviewers and grassroots websites. This segregation prevents visitors from reading stellar insights and opinions on film that they would not necessarily encounter otherwise. Huge turn-off. What’s Hot: CHUD’s managing editor, Devin Faraci, wears many hats for the site – – he often generates a multitude of content in a variety of arenas, like his pop-culture op-ed column “The Devin’s Advocate” and his witty takes on the week’s theatrical releases. His thought-provoking contributions make for interesting reads – – and are essentially the backbone of the site. Also, his abrasive attitude permeates in the site’s message boards, where newcomers to the arena are bashed and ridiculed for their “noobness” instead of given a chance to integrate into the community. 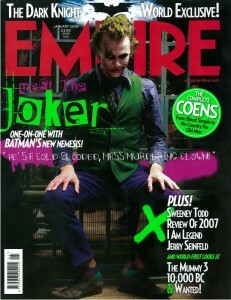 Heath Ledger as The Joker on Empire’s January 2008 cover. The Skinny: Empire feels like the British version of Entertainment Weekly, though the magazine was launched a year earlier than EW in 1989. It covers everything EW does but with an English twist of humor and wit. 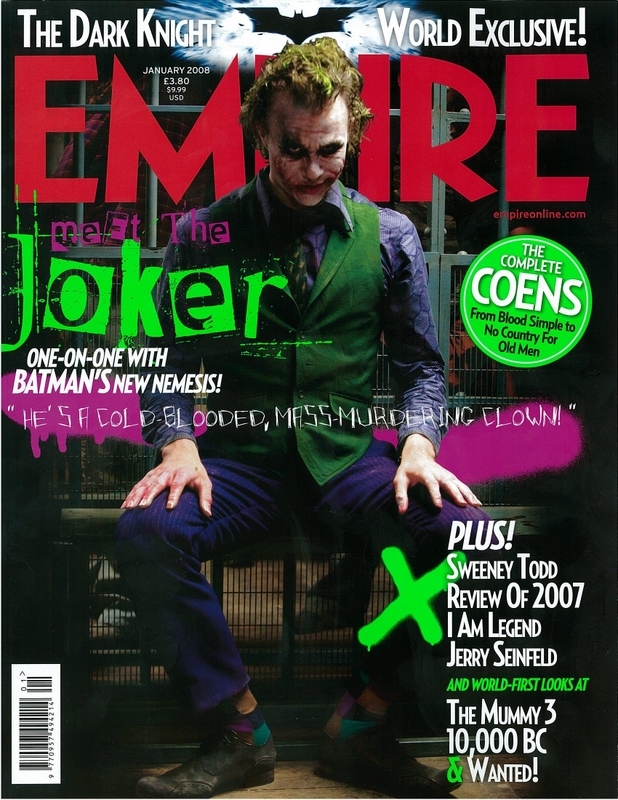 In 2008, Empire was incorporated in the online viral campaign for Warner Brothers’ superhero epic “The Dark Knight.” The magazine hosted an in-game scavenger puzzle whose prize was the first on-set picture of Heath Ledger as the Joker, which was also published in their January 2008 print issue. What’s Hot: The Empire Daily Movie Quiz challenges readers’ trivia prowess through various games, like “The Birthday Game,” where visitors receive clues in order to guess the celebrity birthday, “Select Scenes” where players have to guess a film by its DVD chapter titles and “Role Call,” where victory comes from guessing a film by the named characters. What’s Not: Empire’s forums resemble that of Ain’t It Cool News’ “Phantom Zone” but lacks the same pop – – it’s missing that strong “community” feel, even though the boards also retain a high level of intelligent contributors and variety of conversation topics.